The disastrous World Cup for England in 2015, where they were knocked out in the first stage after being humbled by Bangladesh, was a major turning point for English cricket. From being a mediocre team in limited overs in 2015 to being the top-ranked ODI side in 2018, England has come a long way. Not known for scoring many 300s, England turned the tables and began to be ruthless in their approach in batting. The pitches thereafter gradually changed or were made to change their nature, and got flatter, making the English batting look even more fearsome as 300s and 350s became an everyday affair in ODIs. The Champions Trophy in 2017 saw similar tracks, except a couple of exceptions. And the World Cup is expected to be no different. The middle overs, previously used by bowling teams as a phase to mostly contain the batting team and by the batting sides as a period to build a platform for the slog overs, have now taken a different role. With 5 fielders inside the circle, the batting sides look at it as a better scoring opportunity while the bowling sides look at it as a wicket-taking phase. Hence, as evident from the matches over the last two years, teams with better wicket taking options in middle overs have generally dominated by picking up wickets at regular intervals. Now considering the changed perspective of the middle overs along with the flat English wickets, the role of wrist spinners becomes doubly important. Wrist spinners, who are generally prone to be more expensive, also create better wicket-taking opportunities. Moreover, unlike finger spinners, the wrist spinners do not need much assistance from the pitches. 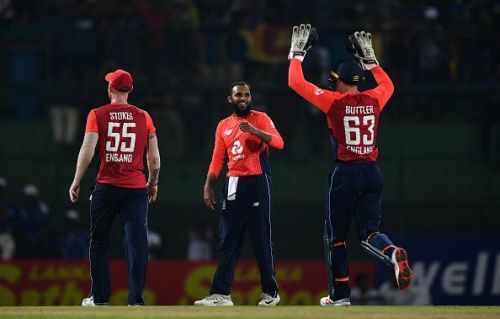 As we have seen, England has batted ruthlessly in their home conditions, but one major factor in their wins has been Adil Rashid, who has managed to pick up wickets in the middle overs, and he, in turn, helped Moeen Ali too. Rashid was the third highest wicket taker in ODIs in 2018, with 42 wickets from 24 games. Not only England, other teams like India and Afghanistan who have been highly successful over the last two years, have quality wrist spinners playing a major role in their success in this period. The Kuldeep-Chahal duo is currently one of the most difficult spin pairs to face. 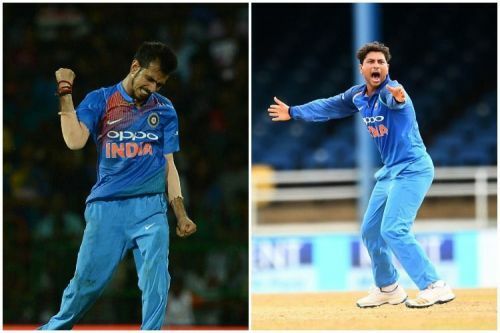 Kuldeep Yadav, since his debut has picked more wickets than anyone else in the world and the second best in terms of wickets in this period has been Yuzvendra Chahal. Teams have faltered in the middle overs despite getting strong starts against India countless times since these two have started featuring. The introduction of Kuldeep and Chahal in place of Ravichandran Ashwin and Ravindra Jadeja was a lesson well learnt by team India from the Champions Trophy. Rashid Khan is one of the hottest properties in world cricket at the moment and can be regarded as one of the biggest reasons why Afghanistan will be there in the World Cup. Whether Afghanistan continues to impress everyone in the World Cup will be determined largely on how teams play their spinners. As evident from the Asia Cup and leagues all around the world, Rashid and Mujeeb ur Rahman can trouble the best in the world, irrespective of conditions. Similarly, Imran Tahir for South Africa and Shadab Khan for Pakistan have also reaped great success recently. So much has been the dominance of wrist spinners in recent years is that four of the top 5 wicket takers in 2018 were wrist spinners. And the teams having those 4 wrist spinners have also been the most successful teams of the year. This growing dominance of wrist spinners in ODI cricket makes them the prime contenders to take the center stage in the 2019 World Cup, so much so that some of them are serious contenders for bagging the player of the tournament award. Taking into consideration the conditions in England and the success of wrist spinners, it would not be wrong to say that the teams with quality wrist spinners will outplay others.